I am fairly certain that Ansel was his given name based on the estate record in 1838. It is interesting that he was listed on two of his daughters' death certificates as "Henry Melton" and "Tinsley Melton". It is quite possible that those who provided the information for the death certificates were unaware of his names given that he died over 70 years prior. I also believe that Ansel Melton was Lydia Horner's 1st husband and the son of James Melton. Lydia Melton petitioned his estate after his death. It was very common for the widow to petition the estate of her deceased husband for dower or a year's allowance. Lydia Melton purchased most of the items from his estate sale likely indicating that she was his widow. James Melton and George W. Horner were Ansel's administrators. James was believed to be Ansel's brother as well as Lydia's sister's husband and George was also Lydia's brother. Ordered that William Dunn be appointed overseer of the road from Kennedy's Mill to the old road at Solomon Brewers and have the following hands to work: Wm. Jones, John Cagle, John Stuts, John Stuts (son of H), Robert Milton, James Milton, Ansel Milton, Isah Milton, Nathan Wallis, Thomas Williams, Matthew Williams, Henry Williams, David Lankford, Jesse Collar, George Kennedy, and George Davis. Ordered that Robert Milton be appointed overseer in place of John Cagle of the road from Kennedy's Mill to the old road at Solomon Brewers and have the following hands to work: John Cagle, Wm. Dunn, John Stuts, John Stuts (son of H), Robert Milton, James Milton, Ansel Milton, Nathan Wallis, Matthew Williams, Henry Williams, David Lankford, George Davis, Jethrew Denson, Wm. Wood, John Williams, Daniel McNeill, Wm. Williams, Thomas Williams, Joseph Williams, Josiah Williams, Upshur Furr, Jason Sowell, Hiram Melton, Joseph Wallis and Aaron Kennedy. Ordered that Anderson B. Smith be appointed overseer in place of Robert Milton of the road from Kennedy's Mill to the old road at Solomon Brewers and have the following hands to work: John Cagle, Wm. Dunn, John Stuts, John Stuts (son of H), Robert Milton, James Milton, Ansel Milton, Nathan Wallis, Matthew Williams, Henry Williams, David Lankford, George Davis, Jethrew Denson, Wm. Wood, John Williams, Daniel McNeill, Wm. Williams, Thomas Williams, Joseph Williams, Josiah Williams, Upshur Furr, Isom Sowell, Hiram Melton, Joseph Wallis, Aaron Kennedy, Lewis Garner and Stephen Maness. James Melton received a 10 acre Land Grant located on Long Meadow Branch adjoining Joseph McGee, Normand Matheson and his own line. James Melton Jr. and Ansel Melton were chain carriers. Hyram Melton received a 25 acre Grant located on the Head of Sassafras Branch adjoining Jeremiah Williams and Robert Melton. James Melton and Ansel Melton were chain carriers. Estate of Ancel/Anson Melton, dec'd. Alfred Brower, Samuel C. Bruce, James D. Callicut, John McNeill, John R. Ritter, Murdo. 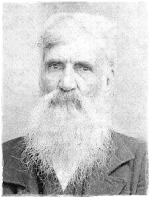 McLeod v. Henry Melton and others. On motion ordered by the court that the lands of Ancel Melton, decd. descended to the defendants, his heirs at law be sold to satisfy the plaintiffs judgment and costs and that the clerk of this court issue a venditione exponas to the Sheriff to sell the same.